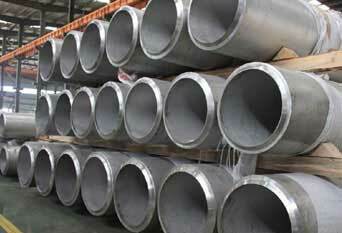 ISO Approved Manufacturer & Exporter of ASTM A312 Stainless Steel Industrial Pipe. SS TP 304L Industrial Pipes, TP310 Stainless Steel Industrial Pipe Dealer, ASME SA312 SS UNS S31254 Industrial Pipes, Stainless Steel TP310 Industrial Pipe, TP 316 SS Industrial Pipes, TP 316L Industrial Pipes, SS TP 317 Industrial Pipes Manufacturer in India. Piyush Steel is a known exporter and stockiest of SS Industrial Pipes, which are being made up of different grades in the company of standard ranges that meet the terms through international and national standards. Our offered pipes are precisely manufactured using top notch material by our experts following the set standards of industry. Offered products are accessible in various specifications as per the exact requirements of customers. We are dedicatedly engaged in offering a qualitative gamut of these pipes which are acknowledged for their high malleability. These are slightly larger than the outer diameter of the pipe it is to be used with. We are instrumental in offering a wide collection of these pipes, which are inspected by our quality experts on several parameters in order to make its flawlessness. ASTM A312 Industrial Pipe, Stainless Steel Industrial Seamless Pipes, Seamless Austenitic Stainless Steel Industrial Pipes, TP304 Industrial Seamless Pipes, UNS S30400 Industrial Pipes, Stainless Steel Industrial Pipes Supplier in Mumbai, India. SS TP 304L Industrial Pipes, TP310 Stainless Steel Industrial Pipe Dealer, SS UNS S31254 Industrial Pipes, Stainless Steel TP310 Industrial Pipe, TP 316 Industrial Pipes, TP 316L Industrial Pipes, SS TP 317 Industrial Pipes Manufacturer in India. These Industrial Stainless Steel 316L Pipes are very much easy to install and remove, and can be obtainable for our customers in different technical specifications and sizes according to their requirement. It is being manufactured from soaring grade metal which is completely rust proof and robust in built. They are having some great features like Strong construction, Easy installation, Weather resistance, Toughness, Highly durable, Smooth finish, and more. 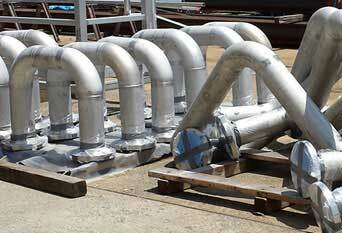 Fostered with our rich experience, we are engaged in offering a wide range of these pipes. Our offered products are manufactured by our experienced professionals using finest material & leading techniques keeping in mind the defined industry standards. These are tested on numerous parameters in order to deliver a defect free range from our side. 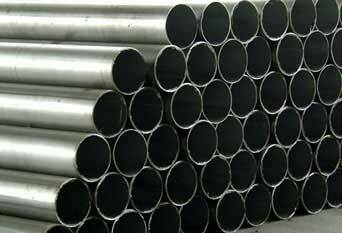 Clients can avail these pipes at affordable prices in a stipulated time frame. They are used for assembling purposes and are delivered in most affordable rates. We offer these Austenitic Stainless Steel 304 / 304L Industrial Pipes in different industries including shipbuilding, power generation, petrochemical plants, oil refineries, waste water treatment plants, paper mills, pharmaceutical plants, turnkey projects and so on. 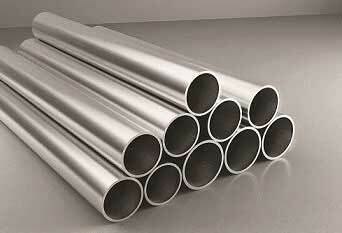 We Supply Stainless Steel 316 Industrial Pipe of various origin’s and companies like Nippon Steel & Sumitomo Metal, Sandvik, Sanyo Special Steel, Kobe Steel, Schoeller Bleckmann, Salzgitter Mannesmann Stainless Tubes, Tubacex etc. steel industrial pipe manufacturers in india, ss industrial pipe manufacturer in delhi, stainless steel industrial pipe price list, stainless steel industrial pipe manufacturer india ahmedabad, gujarat, ss industrial pipe manufacturer in mumbai, steel industrial pipe manufacturers in delhi, stainless steel industrial pipe manufacturers in ahmedabad, jindal stainless steel industrial pipes.